As winter approaches and the year comes to a close, the entire team at VetNetwork is hard at work staying ahead of the latest veterinary marketing trends. In this newsletter, we discuss a wide variety of topics guaranteed to ensure you have the strategies, tools, and understanding to reach new clients and expand your revenue. We begin by delving into Facebook and the importance of blogs. Quintessential tools for any veterinary hospital, these two social media applications can bolster your clientele base while attracting new hospital visitors. In this section, we explain the nuance and necessity of these helpful marketing tools. Next, we discuss the best ways to respond to Yelp reviews, which should be a mandatory-read for any veterinary hospital owner. In the new tech bubble of online reviews, it's easy to become frustrated and disenchanted with anything negative posted regarding your practice. But that doesn't mean launching an all-out offensive against bad comments is going to help either. 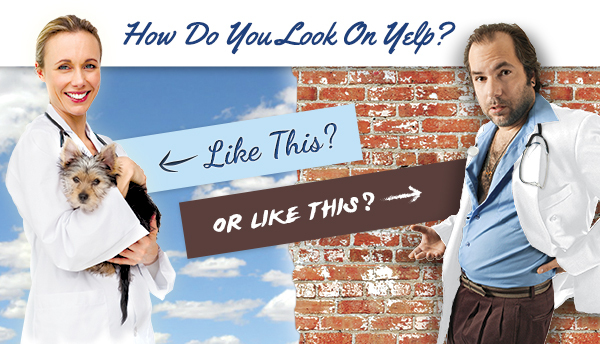 Read on and learn more about the best ideas for making Yelp work in your hospital's favor. Our goal is to provide veterinarians like you with valuable information to help you connect with pet owners and grow your practice. If you have questions, please feel free to contact me directly at (603) 743-4321. If You Like Our Newsletter, Please Like Us on Facebook! Marketing is how you connect with and convince pet owners that you have the best solution to their problem. However, too many veterinary hospitals financially underperform because they can’t connect and convince. Studies show that a good and compelling blog and Facebook page can help you connect with pet owners and convince them that you offer the best solution to their problem. And it’s not just about describing the high-quality medicine you practice; these are excellent tools for drawing in new clients and retaining current clients. Show Don’t Tell – The best marketing helps pet owners convince themselves that you offer the best solution. A blog and Facebook page are perfect for showing pet owners your unique qualities through posting success stories, rewarding employees for professionalism, sharing medical and pet care advice, providing guidance on difficult pet issues, and more. Builds Relationships – According to AAHA, minimal or ineffective communication is the leading cause of clients leaving a practice. 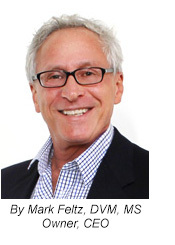 Prospective clients will also select practices that communicate effectively. A high-quality, custom website is a first step, but a blog and Facebook page increase the likelihood of prospective clients finding, seeing and understanding your message. These tools also build and strengthen bonds with prospective and current clients. Builds Community Around Your Practice – Pet owners care about the welfare of animals beyond their own pets. Imagine the sense of community they would feel if your hospital’s blog and Facebook page made them aware of animal welfare issues and linked to petitions and other ways to take action. Imagine too, the effect when they share your posts online. Thought Leadership – Current and prospective clients will see you as a thought leader in your profession and among your competitors. By posting thoughtful solutions to their pet’s health and wellbeing as well as showing your and your staff’s professionalism, pet owners will view you and your hospital as the top animal hospital available to them. There is nothing worse than an online bomb thrower ruining the brand and reputation of your veterinary hospital on Yelp from the anonymity and comfort of their home. While most reviews may be benign or favorable, we all know that the frustrated customers are the most likely to complain. We all also know that we are not perfect. Research has shown that complaints on veterinary hospital review sites like Yelp fall within four categories: overcharging, rude staff, poor medical outcome and long wait times for appointments. Do not write fake reviews – Fighting fire with fire is a bad idea and may even break the law. In 2013, the New York Attorney General’s office ran an undercover investigation of companies that offered fake reviews and found that nineteen violated laws against false advertising and deceptive business practices. In all, they levied $350,000 in fines. However, it is more than okay and recommended to encourage happy customers to support your hospital by writing positive reviews. Can’t beat ‘em, join ‘em – Businesses can be listed on the site for free and can also pay a monthly subscription fee, which allows you to advertise on Yelp. You can even have a sponsored ad appear on a competitor’s review page. According to a story on AVMA.org, one veterinarian said they get sixty-five views and fifteen new clients a month from Yelp. Respond – Use this as a brand-building opportunity. If a client complains about price, be transparent about your fees and offer tips for reducing costs such as prevention, act quickly if their pet’s habits change, offer a phone triage service, and give guidance on insurance and payment options. If the issue is poor service, admit when you’ve made a mistake and always respond with steps taken to correct the issue. Basically, show them that you truly care and are human and humane. Fraudulent Review – Fraud and threats to staff are taken seriously by Yelp because it compromises their brand and integrity. Contact them and ask to have the review removed and site your reasons. You can do this by clicking on the flag icon on Yelp and following the prompts. VetNetwork can also be your ally. We’ll monitor Yelp and many other popular review sites, analyze the conversations, and mitigate the impact of negative reviews. Call or check out our website for the Reputation Management Progam that is best suited for you. 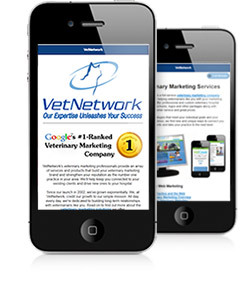 VetNetwork is owned and operated by a veterinarian with 20 years of hospital ownership experience, and is staffed with a team of veterinary marketing experts who are dedicated to growing your practice. For more information about reputation management and growing your business, please give us call at (800) 564-4215 or send us an email today.